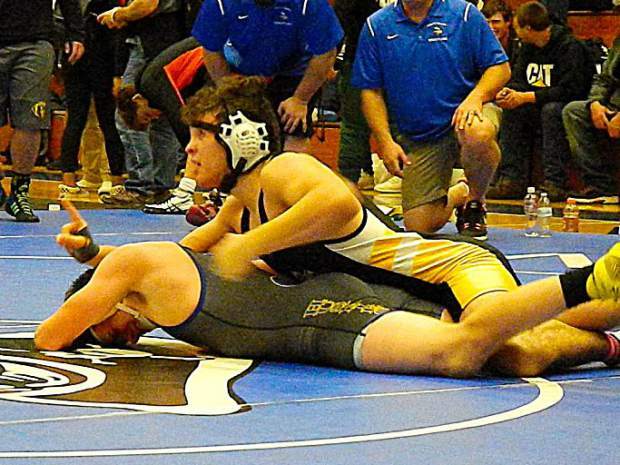 South Tahoe's José León is about to pin an opponent during his junior season. 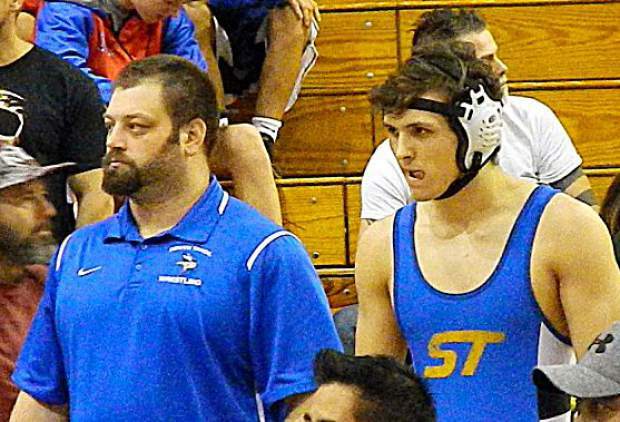 South Tahoe junior José León stands with Vikings wrestling coach Ryan Wallace this past season. 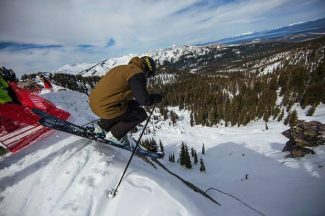 South Tahoe's José León competes this past season. Vikings freshman Jose Leon takes down Dayton’s Dennis Hamann in a 160-pound match during the Sparks Invitational. José León can’t compute how he didn’t earn his way into the Nevada high school state wrestling tournament. And if León can’t compute it, maybe it can’t be figured out. 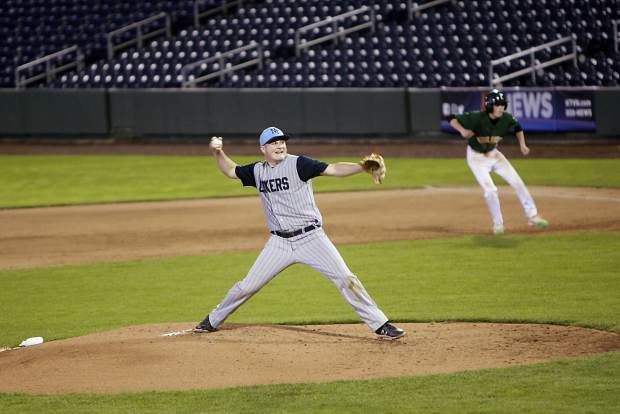 The South Tahoe High School junior is a mathematics wizard. He skipped sixth grade math because he scored a 600 on his California Standards Tests (CST), the highest that can be achieved. He doubled up on his math classes his sophomore year and is now taking calculus and some other advanced placement (AP) courses. He is second in his class with a 4.4-grade point average and he easily remembers his lowest high school grade, a frustrating B-minus. So when León is trying to figure out why he wasn’t wrestling for a state title after dominating most opponents throughout the Vikings wrestling season, maybe it was just a mathematical irregularity. Leon won 39 of his 48 matches this year, 30 of them by way of pin. He medaled in every tournament in which he participated. 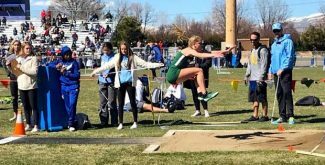 He finished in second place in the 170-pound weight division as a sophomore and also made the state trip as a freshman. He had high hopes of doing even better this year. But now the Vikings team captain has more fuel for next season. 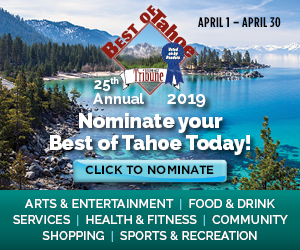 His starring role in the classroom and on the mat led to León being named the Tahoe Daily Tribune’s male Student Athlete of the Month. “He’s got a mental toughness that’s unbelievable,” said Vikings assistant coach Ryan Wallace, who helped León get involved in wrestling about six years ago. “He never misses practice and I never wonder where he is. He’s smarter than any kid I’ve ever had. In fact, when I was taking a math class, he made me feel like an idiot and helped me with it. He’s so smart. León was born in Houston, Texas and moved with his parents to the South Shore about eight years ago. He started wrestling in the sixth grade and it was Wallace who helped León early on. His older brother wrestled and that led León to take up the sport. And then he fell in love with it (and other combat sports) and that and school take up his free time. Someday, he wants to get in the ring and see what he can do. For now, León is just enjoying food and not so worried about his weight, something he had to watch like a hawk during the season. He’ll lose all those extra pounds later when he starts to train again. The Vikings wrestling team was awarded the northern Nevada sportsmanship award and Wallace said León set the tone. As for earning the student athlete award, León was surprised, and excited.